This is the fifth (and hopefully last!) 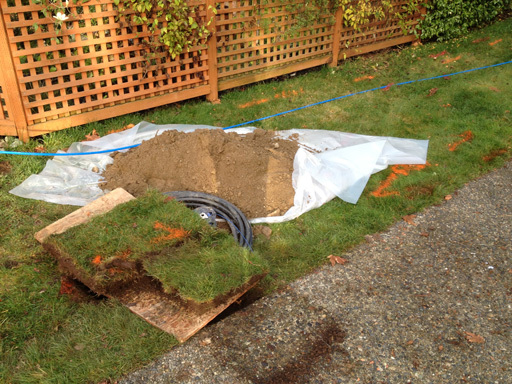 post in a series about our front-yard water line emergency that occupied much of the Thanksgiving holiday and the week that followed. 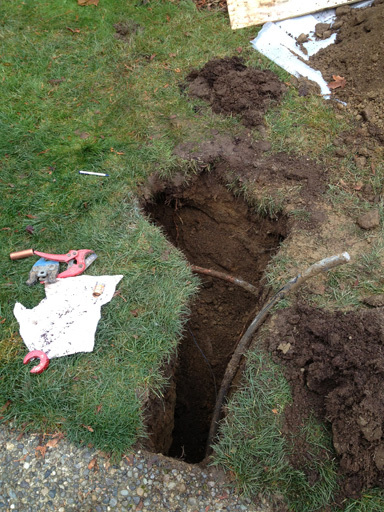 Our new water line is complete! It passed inspection this morning and cleanup was completed this afternoon. 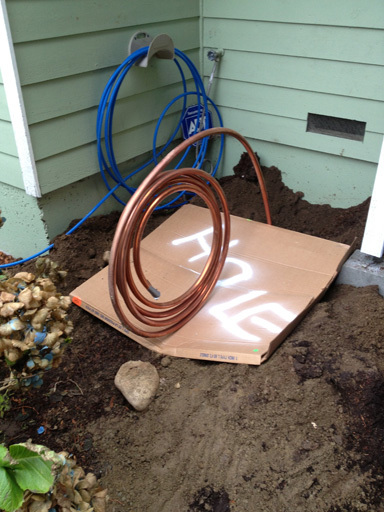 Here you can see the old copper line (perpendicular to the viewer) and the new Pex piping coming in from under the driveway. Total damage: $3300 and just a little bit of sanity. 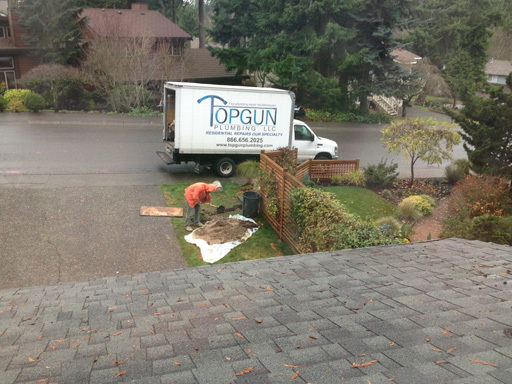 Top Gun Plumbing did fantastic work and cleaned up the job site nicely, especially considering that it has rained virtually non-stop and mushed up the ground real good.